Five government employees are accused of withholding information from the public that could have saved lives. 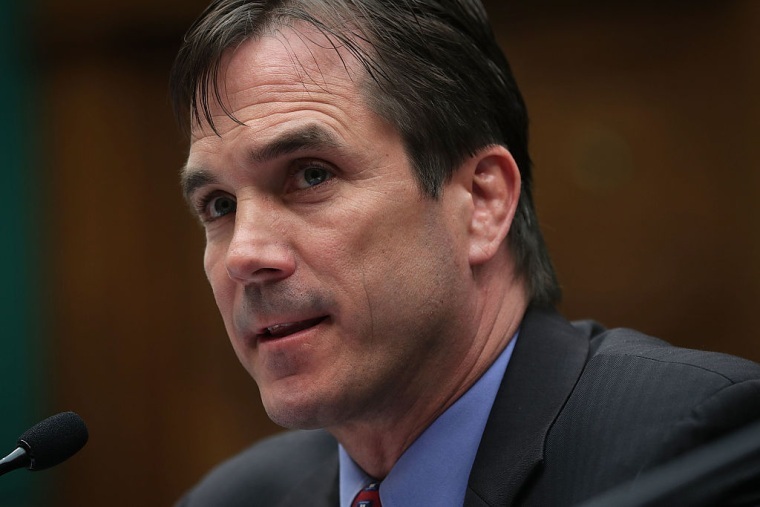 Michigan Health and Human Services Director Nick Lyon, pictured above, and four other Michigan officials have been charged with involuntary manslaughter over 12 deaths linked to the Flint water crisis caused by Legionnaires' disease, a form of pneumonia. The other officials slapped with manslaughter charges — on top of existing cases — are former Flint emergency manager Darnell Earley, former Michigan Department of Environmental Quality drinking water chief Liane Shekter-Smith, DEQ drinking water official Stephen Busch, and former City of Flint Water Department manager Howard Croft. Each is facing 15 years in prison and a felony. Lyon and his co-defendants are accused of covering up evidence revealing the health hazards of Flint's water. The city's supply was switched in April 2014 from Lake Michigan to the raw, untreated water of the Flint river, which leached lead from the pipes into the system. Over 100,000 residents were exposed to high levels of lead, and a federal state of emergency was declared in January 2016. Just last week, the water's lead levels fell below the government mandated threshold. According to the charges, Lyon and the other officials knew that Flint's tainted water could have led to an outbreak of Legionnaires' disease, and waited a year before telling the public. Twelve Flint residents died of the disease between 2014 and 2015. Lyon is specifically accused of causing the death of Robert Skidmore, who passed away from Legionaires' on Dec. 13, 2015. Lyon is alleged to have "willfully disregarded the deadly nature of the Legionnaires' disease outbreak," and at one point said that he "can't save everyone," and "everyone has to die of something." In addition to the manslaughter charge, Lyon faces a charge of official misconduct for ordering a staffer to stop a study that would have determined the source of the outbreak. If found guilty, he could spend five years in jail. In total, 15 Flint officials have been charged in connection with the water crisis.